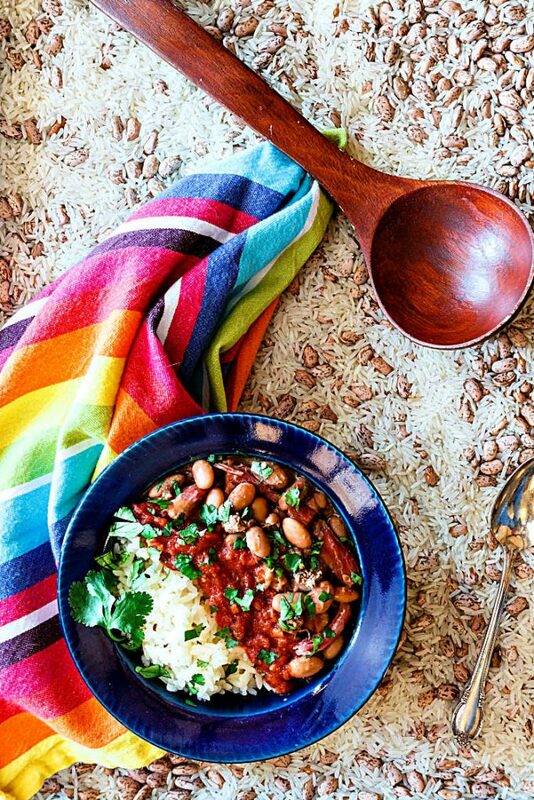 It’s the Dinner Divas weekly meal plan time, friends! We are a comfort-food loving bunch, and I hope you are too, because we are bringing the comfort in all the ways this week! With this week’s menu, you are almost guaranteed to find a meal or two your family will simply love! And don’t forget to check the archives for all the recipes all in one place. Monday starts off with my Cowboy Pinto Beans. While you could certainly make these vegan or vegetarian for meatless Monday, this version is seasoned with both country ham hocks and ground beef, making for a nice one-pot meal. You can throw in a side salad as well! 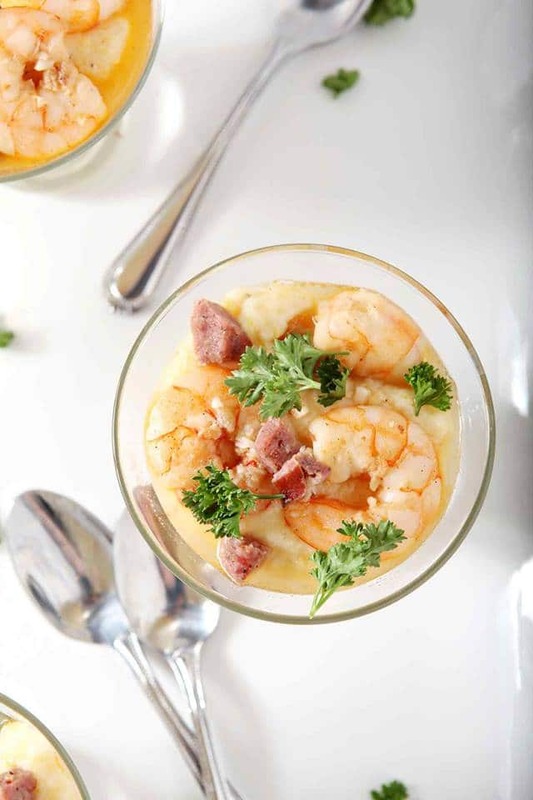 A chef by the name of Bill Neal put shrimp and grits on the southern culinary map by serving it at his restaurant. I went to college with his sister, although at the time, I didn’t know the connection. So I feel a sort of kinship with Shrimp and Grits. Bill Neal would love The Speckled Palate’s version, I know! 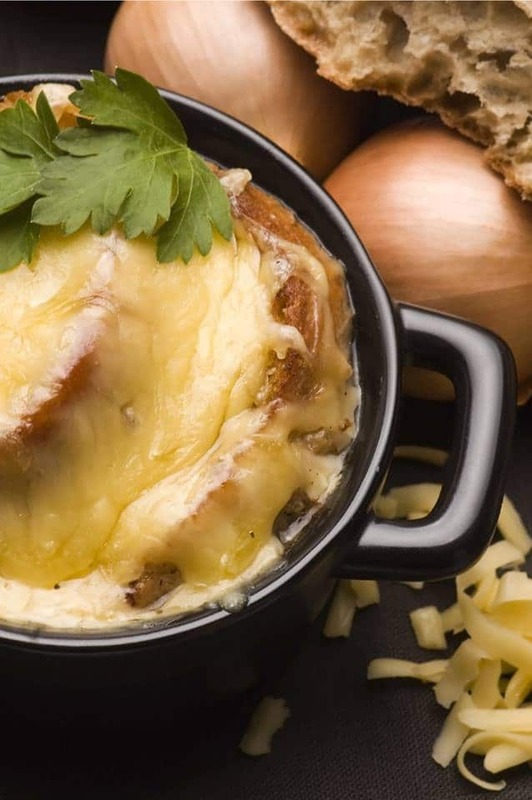 What’s more comforting than French Onion Soup? Not a lot, honestly. And this Classic French Onion Soup from My Imperfect Kitchen is the real deal. Yes, it does take some time to develop the flavors, so save this one for an “underscheduled” day. But do make it, because there is just nothing like it. 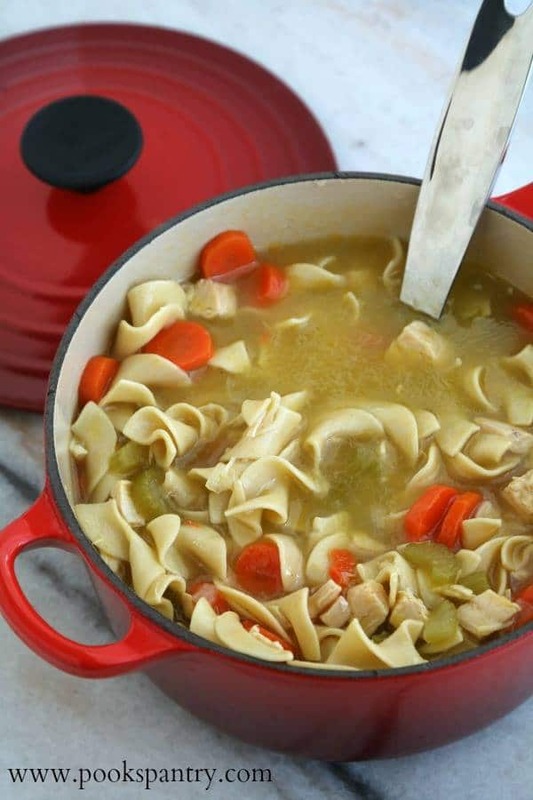 Just like French Onion Soup, Classic Chicken Noodle Soup is pure comfort in a bowl. 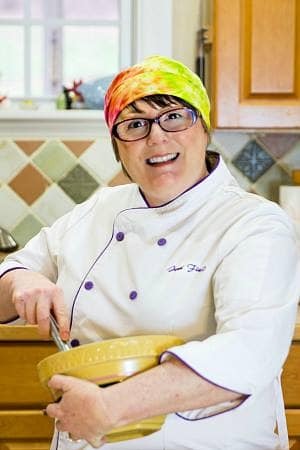 Pook’s Pantry shows you how to make your stock from scratch, so do that part on the weekend. Then you can make the rest of the soup on a weeknight. Like a Thursday. Yum! 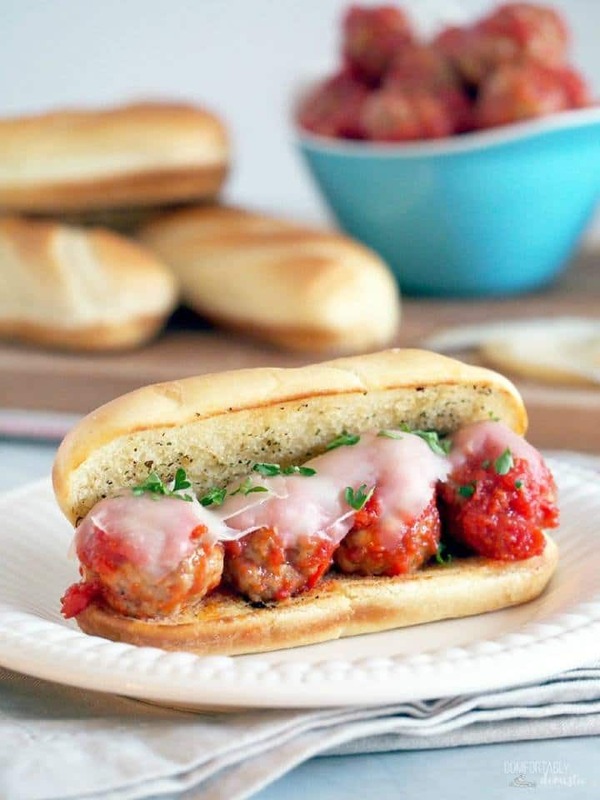 Hello there, Meatball Hoagie with all the cheese! I do love a good meatball sub, and Kirsten from Comfortably Domestic is checking all the boxes here: meatballs simmered in marinara, toasty bun, and smoked cheese. I’m in! Extra number one this week is my old school version of Red Velvet Cake with the original frosting: a cooked flour and milk frosting that is not too sweet and incredibly smooth and creamy. I prefer it so much better than cream cheese frosting, so leave that one for carrot cake, okay? 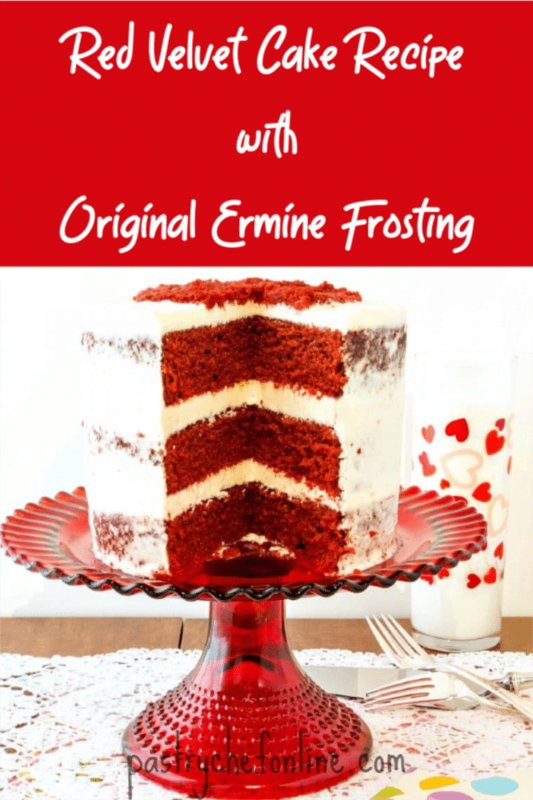 Ermine frosting is also excellent on almost any chocolate cake. 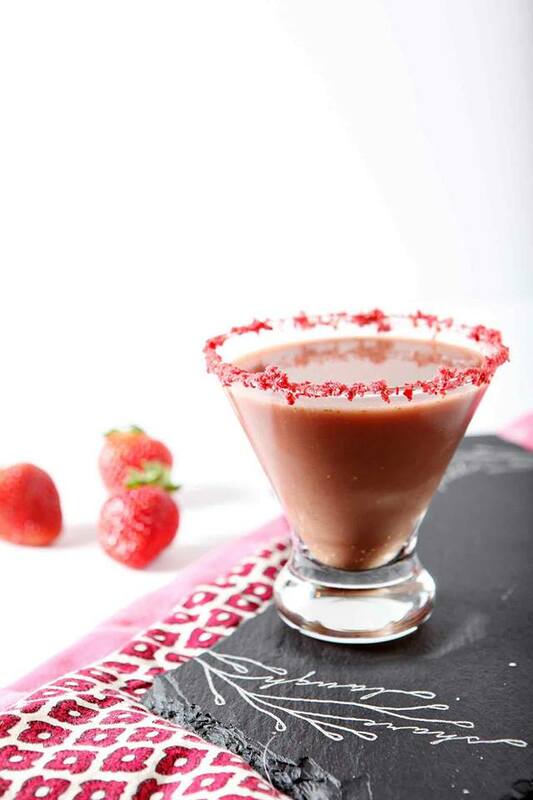 Last but by no means least is a delicious sounding cocktail from The Speckled Palate: a Skinny Chocolate Covered Strawberry Martini. Make these a few times. You know, to perfect them for Valentine’s Day! And guess what? They’re dairy free and sugar free, too. Enjoy! And that brings us to the end of our weekly meal plan post, you guys. 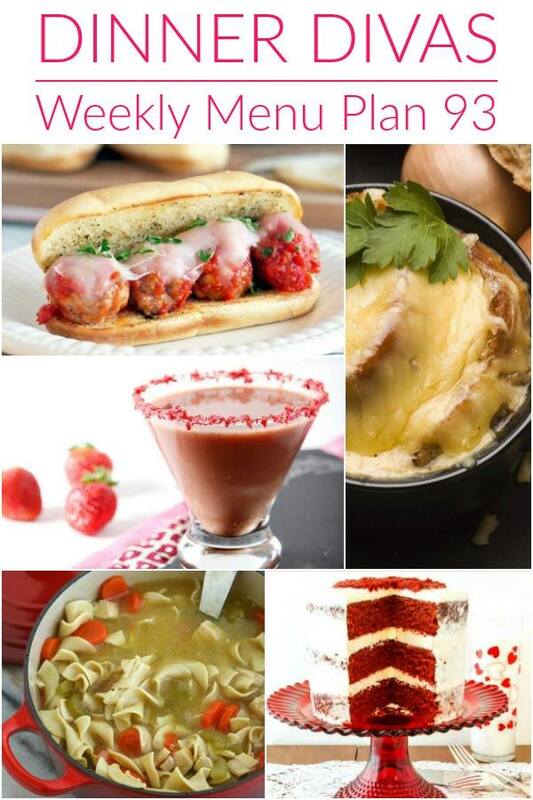 Tell me, with all these comforting choices, which recipes will you make this week? Thanks for spending some time with your Dinner Divas this week. Take care, and have a lovely day.